In 2017, the Nevada Gaming Control Board (NGCB) made it legal for Nevada sportsbooks to offer prop bets on the NFL Draft. The new betting initiative is been popular offshore. However, it got off to a relatively slow start in Nevada. Perhaps the slow start was in part because there were only 17 NFL Draft propositions available last year. Football is king in the betting world so it’s no surprise to see NFL Draft betting return. The slow start for NFL Draft proposition bets in Nevada hasn’t scared sportsbook operators from offering the NFL Draft prop bets in 2018. William Hill was one of the first to offer NFL Draft wagering opportunities in 2017 and are the first to open wagering on the 2018 NFL Draft. This year the NGCB is allowing Nevada sportsbook operators to offer even more NFL Draft prop bets. There are more nearly twice as many NFL Draft bets available in Nevada this year. William Hill is offering 31 different prop bets on the draft at their 108 sportsbooks around Nevada and on their mobile sports wagering app. Unlike offshore sportsbooks, NGCB regulations have very strict rules for wagering on the NFL Draft. These wagers may only be bet until the end of the business day on April 25. That’s two full days before the draft. That decreases the potential for funny business. To avoid any confusion the only official source of results is NFL.com. There are essentially two types of bets available for the NFL Draft in Nevada this year. There are prop betting opportunities for schools and positions as well as player matchups. Most of the NFL Draft prop bets available are the number of players selected. This year NGCB is allowing specific NFL Draft player propositions. William Hill is offering a few different options, including the following. Betting odds are subject to change as money is wagered. Don’t be surprised to see different odds available on the William Hill sports wagering app or at one of their sportsbooks. Sports betting is heavily regulated by NGCB, so there aren’t as many opportunities available at brick and mortar casinos as there are offshore. Additionally, not all sportsbook operators offer NFL Draft betting opportunities. To date, William Hill has been the most aggressive sportsbook to offer NFL Draft bets. NGCB may be behind the offshore sportsbook operators, but they’re slowly catching up. They’ve added 30 non-traditional prop wagering opportunities in various sports since the beginning of 2016. For reference, they only added 14 new wagering opportunities between 2011 and 2015. Expect to see more unique sports wagering opportunities ahead for Nevada. 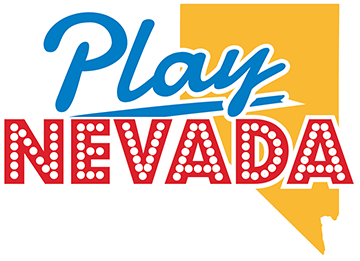 Prop bets and in-play wagering have already helped increase betting handle in Nevada. Mobile wagering makes it much easier for sportsbook operators to implement new options. Additionally, Nevada will want to stay ahead of the competition. In addition to offshore sportsbooks, the potential legalization of sports betting in other states in the United States will increase competition for sports betting dollars.